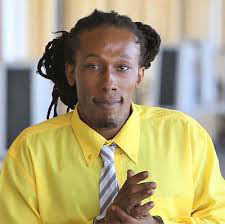 A jury has been empanelled at the High Court before Justice James Bovell-Drakes for the murder trial of Mark Royden Williams, called, ‘Smallie’, and Sherwin Nero, called ‘Catty. The duo has been accused of the unlawful killing of Kumar Singh, also known as ‘Mango Man. The murder occurred on August 30, 2007 at Lot 51 Craig Milne, Cove and John, East Coast Demerara. A third man, Andrew Philander, called ‘Junior’ and ‘Gadget,’ was also charged for the murder, but he perished in a fire set by inmates at the Camp Street Prison in March 2017. Three years ago, the matter came up for trial but had to be aborted after Williams demanded a new lawyer, causing the one who had been assigned to him by the state to withdraw. As a result, Justice Navindra Singh, before whom the matter was set to commence, aborted the trial. He had, however, explained to Williams that it would have taken a lot of time to assign another lawyer to him. At the June 19, 2014 hearing, Justice Singh had asked Nero and Philander if they preferred to have their trial separate from Williams but they refused. The judge told them that it would push back the start of the trial. 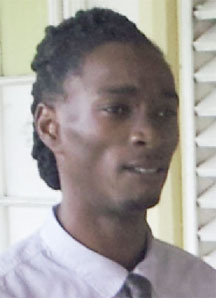 Williams is one of two persons convicted and sentenced to death for the February 17, 2008 Bartica massacre in which 12 men were killed. A jury had found him guilty of seven of the 12 murders and guilty of manslaughter for the other killings. For the murders, he was read the death penalty and handed down life sentences on the lesser charges. Williams is believed to be the mastermind of the July 9, 2018 Camp Street prison fire and jailbreak.